Why does the lender underwrite my home? Credit: Do you, the borrower, have a history of repaying your debts? In the United States lenders use a borrower’s FICO score to assess their ability to manage credit and repay their debts. Capacity: Do you have the ability to repay the debt? The CFPB has strict rules on how to calculate a borrower’s ability to repay a loan, but this is mostly determined by analyzing your income and understanding how your new payment fits into your budget. Mortgage lenders calculate a debt-to-income ratio to measure this risk. Collateral: If the loan is not repaid, could you sell the home and satisfy the outstanding debt? Mortgages are tied to the specific property, in the case where a borrower can’t repay the loan then they are expected to sell the home and pay off the mortgage. In the case where the borrower misses payments and does not sell the home, the lender can foreclose on the home and sell it themselves. As you can see, understanding more about the home you’re about to buy is a critical step for the underwriter when considering collateral. This is why the home appraisal is such an important step in the mortgage process. The property you choose plays a huge part in closing any loan. Just like the mortgage borrower, the property itself has to meet a certain set of criteria. 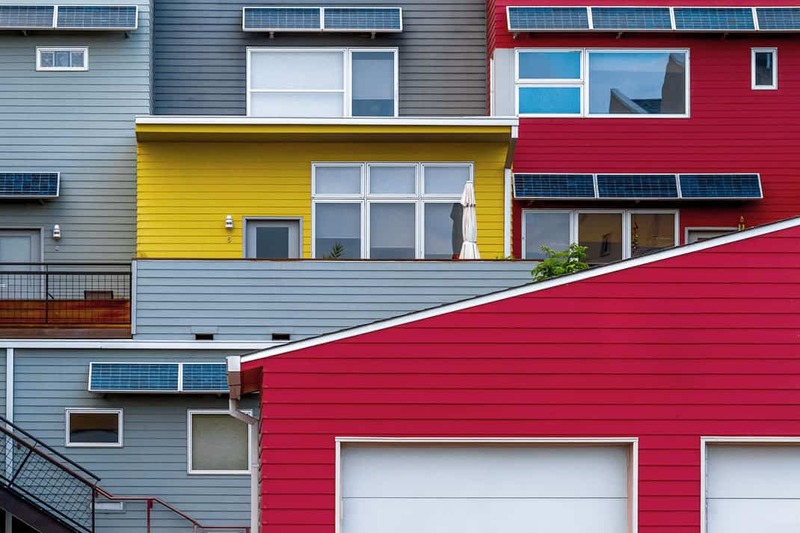 There are two main types of property usage as far as residential mortgages are concerned, and it boils down to one question: Are you going to live in this house day-to-day? The answer to this affects which products you qualify for. If you intend to live in the home, it’s considered an Owner Occupied Residence. This opens up a word of loan options – 0% down VA loans, 3.5%+ down FHA loans, specialty low-cost or no-cost loan programs, first time home buyer programs, etc. If you are buying a property as a rental property, or a vacation home, or for whatever reason you’re not living in it day-to-day, it’s considered an investment property. You’re limited to a more conventional set of products here, usually requiring 20-25% down, and you’ll be responsible for the full set of fees. Single Family Residence – Your everyday, run of the mill house. It’s built for, you guessed it, a single family to live in. Duplex, Triplex & Quadraplex – These properties have anywhere from 2-4 units, with multiple families living in the complex. Because there is a mixed stream of income being used to pay for the mortgage, the requirements to get the loan may be slightly different. Townhouse – Often called a Planned Urban Development (or PUD) in mortgages. This is a home within a complex of similar properties. Here the purchaser owns the entire structure and is responsible for the interior, exterior, the land, and the common areas. There may be a homeowners association in charge of some common areas of services, like a community pool or winter snow removal. Condo – Extremely similar to a townhouse with one key difference – the purchaser is only responsible for the interior of the home. Everything else, including the exterior of the building, falls to homeowners association. Co-Op – Saying a co-op is a common property type is like saying Chunk was one of the Goonies. Sure, it’s part of the group, but one of these things is not like the other. If you’re interested in learning about these, Investopedia has a great article here. Otherwise, spare yourself a headache and move on. Homeowners associations (HOAs) are real estate’s answer to the tragedy of the commons. In areas where there are communal resources, an HOA collects fees from each member of the community and uses those fees to maintain the communal property. The best example of this is a condo complex. As we learned above, condo purchasers only own the interior of their dwelling. That means important parts of the property, like the roof of the property or the parking lot, are communal property. HOAs make sure that those critical components get the maintenance they need. They also manage less critical things, like any community gym, pool, clubhouse, walkways, etc. If these perks aren’t kept in good condition or the common parts of the buildings fall into disrepair it can lower everyone’s property values, so an HOA is actually pretty important. Because of this, lenders will often check to make sure the HOA is well run and has some cash reserves as well. HOAs are not just for condos though. Many townhouses pay into HOAs to maintain the complex. And any single family residence that is part of a development with communal areas (community gates, pools, golf courses, etc.) may have an HOA as well.